Федералното правителство на Баден-Вюртемберг прави всичко възможно, за да направи провинцията (11,5 милиона жители) един от най-успешните стартиращи региони в Европа. Затова на 01 февруари 2019 г. за втори път (след 2017 г.) организира провеждането на Start-up BW Summit 2019. На общо 25 000 кв.м. в изцяло резервираната изложбена зала повече от 400 стартиращи фирми показваха своите продукти или представяха своите услуги. Работа в мрежа, технически разговори, срещи с инвеститори, тестове на няколко нива или взаимно вдъхновяване. Планираната интернационализация на тазгодишното събитие бе постигната успешно, заяви министърът на икономиката на федералната провиция: „75 международни стартиращи фирми от 16 държави искат да установят контакти със своите колеги и колежки от Баден-Вюртемберг и с водещата икономика“. Само от Израел бяха дошли 20 стартиращи компании. От Дунавския регион участваха 21 стартиращи предприятия (BG, RO, HU, UA, CZ, SK). Всички стартиращи фирми имаха възможността да участват в децентрализираните нива на различни категории: Lifesciences, Creative Industries, Food & Beverages, Software, AI & Cyber Security, Services, E-Commerce & Marketplaces, Manufacturing, Mobility & Hardware, Energy & Enviroment. На срещата на стартиращите предприятия Summit 2019 дойдоха приблизително 5.000 посетители, с 1 000 повече, отколкото на първата среща. Въз основа на това федералното правителство на Баден-Вюртемберг планира, следващата среща Summit да се състои през юли 2020 г.
Участието на стартиращи фирми от Дунавския регион беше организирано в рамките на Дунавската транснационална програма INTERREG ACCELERATOR. Организирани от Технологичek център София, участниците от дунавските държави се срещнаха за подготовка един ден по-рано в „Дома на икономиката в Баден-Вюртемберг”. Управителят Юрген Айзеле обясни хода на срещата Summit и къде участниците могат да осъществят успешни контакти. Г-н Ралф Лаутервасер (Ralf Lauterwasser) от Щайнбайс Ойропа (Steinbeis Europa) и г-жа Клаудия Франц (Claudia Franz) представиха мрежовите структури в Баден-Вюртемберг. Те са отворени за стартиращи фирми от дунавските държави, в които много от тези мрежи функционират и като клонове. Връхната точка за участниците от дунавските държави бе разговорът с министър-председателя Кечман (Ketschmann) и министъра на икономиката д-р Хофмайстер-Краут (Hofmeister-Kraut). Като част от обиколката на изложбата и двамата посетиха „Международния остров“, където се намираха и 21 участници от дунавските страни. Управителят Юрген Айзеле (Технологичен център София) информира в началото министър-председателя относно текущия проект на INTERREG ACCELERATOR. Той посочи, че участниците от държавите България, Румъния, Унгария, Украйна, Чехия и Словения, в чиито страни за съжаление не получават подходяща подкрепа от своите правителства, са разбрали как това се прави в Баден-Вюртемберг. От името на участниците той благодари за възможността за участие. В хода на срещата Summit и държавният секретар в Министерството на икономиката, г-жа Катрин Шютц (Katrin Schütz), посети отделните щандове на дунавските държави и се информира относно идеите на стартиращите фирми. Като цяло участниците са постигнали положителен баланс при своето участие и въз основа на това искат да организират сключвянето на бизнес-сделки. 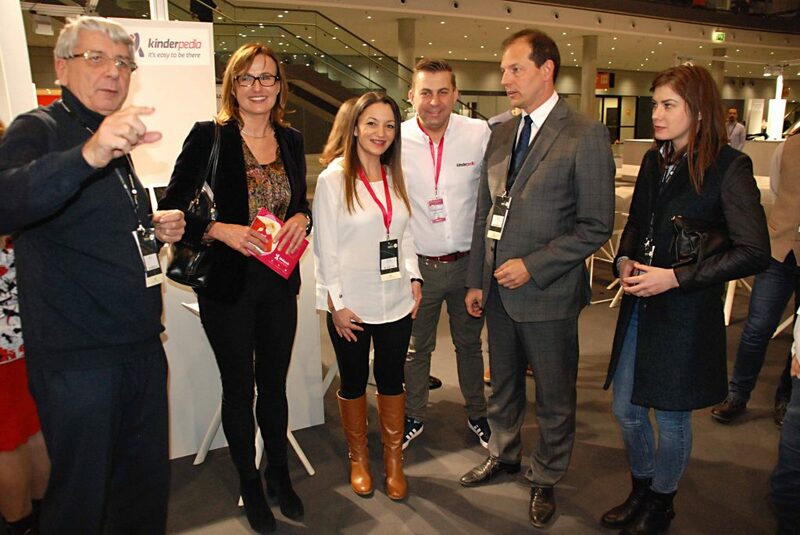 On 01 February 2019, the state government of Baden-Württemberg will host in the Stuttgart trade fair the second Startup Summit BW. 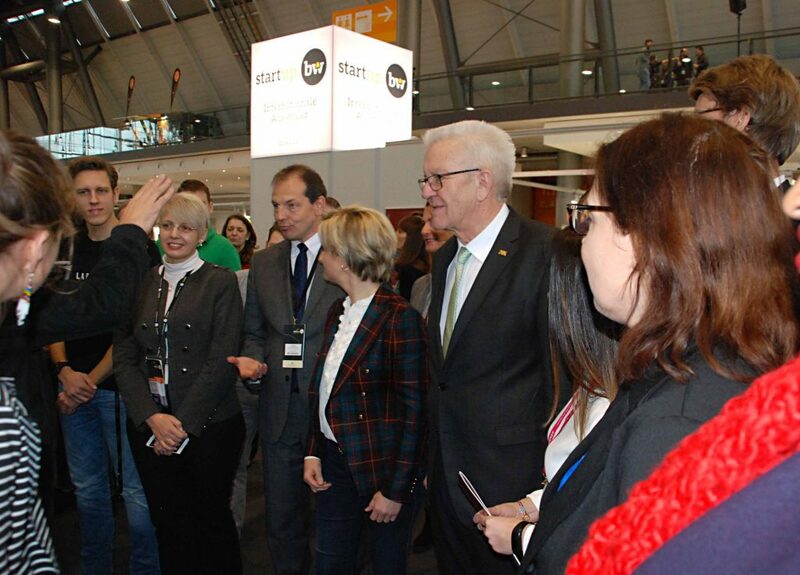 Prime-minster Winfried Kretschmann will open the event, because for him the development of the „startup scene“ in Baden-Württemberg is one of the first priorities. More than 4,000 visitors from large industry and medium-sized companies, Research institutions, finance companies and other stakeholders from the Startup scene аре expected. About 300 startups from Baden-Württemberg will present themselves. New is the opening for startups from the partner country Israel (around 20 start-ups) and the Danube countries cooperating under the EU Strategy for the Danube Region. This strategy is decisively influenced by Baden-Württemberg. The Technology Centre Sofia has taken over the task of inviting approximately 20 startups from 9 Danube countries and ensuring their presentation. 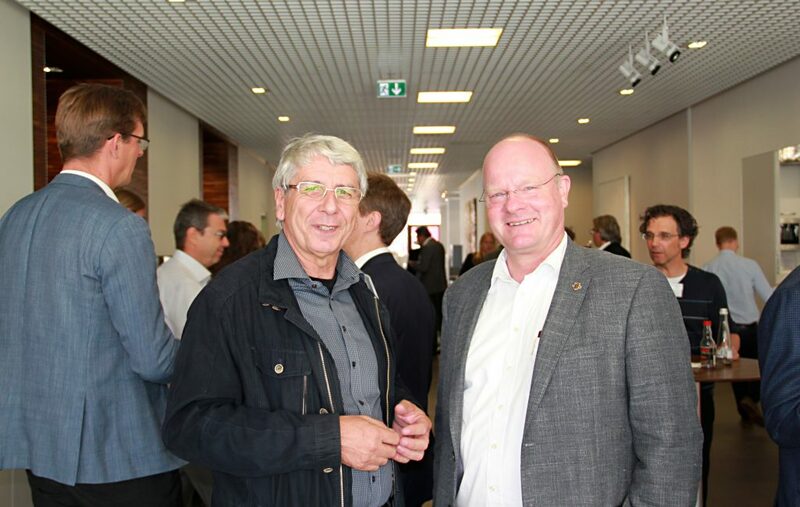 Managing Director Jürgen Eisele thanked the state government of Baden-Württemberg for this possibility of presentation. „The participants are proof that there is also a start-up ecosystem in the Danube countries that provides contacts to and partnerships across national borders,“ explains Eisele. The 20 startups from the Danube countries Austria, the Czech Republic, Hungary, Serbia, Slovenia, Slovakia, Romania and Bulgaria come from the fields of IT, food production, medicine, environment and technology. On the eve of the Startup Summit, Dr. Nicole Hoffmeister-Kraut, Baden-Württemberg’s Minister of Economic Affairs, will invite the international guests to a reception. 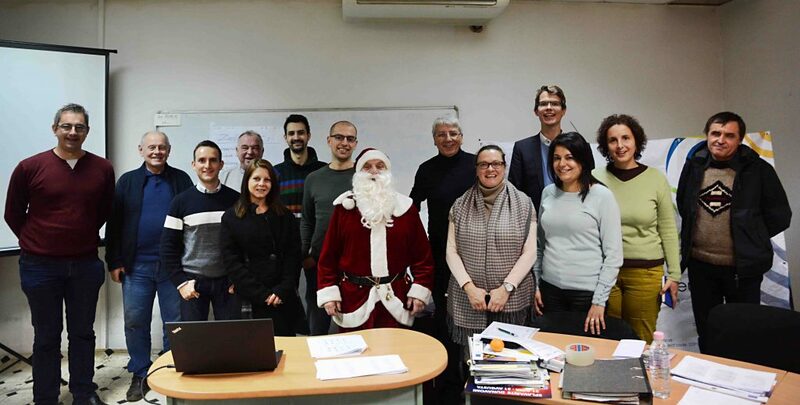 The second pilot of Accelerator North-West Bulgaria, executed by Technology Centre Sofia, started successful on the weekend of 08-09 December. All 12 selected start-uppers (5 singles and 7 teams) actively participated in the event. “Successful Pitching” was presented by Thomas Westerhoven. All participants have to improve in this area. Snezhanka Grosdanova presented the instruments for the elaboration of a good business plan. The economic environment in North-West Bulgaria is the key to a long-term safe work of the starters. Jürgen Eisele (Manager of Technology Centre Sofia) presented data and analyses from North-West Bulgaria. Further teaching units on this seminar weekend were the avoidance of mistakes in the design of the website, the use of electronic media and the control of the appearance of the company. The creation of a personal profile should help the participants to find out their strengths and weaknesses. Three traditional business ideas in the field of tourism came together with a broker of tourist offers. Three participants come from industrial production and one starter from the service sector. Another 4 start-ups have their focus on IT. Until the next seminar weekend, the participants will be able to clarify and refine their ideas. On 25 January, the Technology Centre Sofia will invite some stakeholders from North-West Bulgaria and the best starters will present their ideas. On the occasion of the 8th meeting of the Joint Government Commission between Baden-Württemberg and Bulgaria. On the agenda on 29th and 30th October were the priorities of the cooperation for the next two years. The Sofia Technology Centre, represented by the managing director Jürgen Eisele, is part of the "Economy" working group. 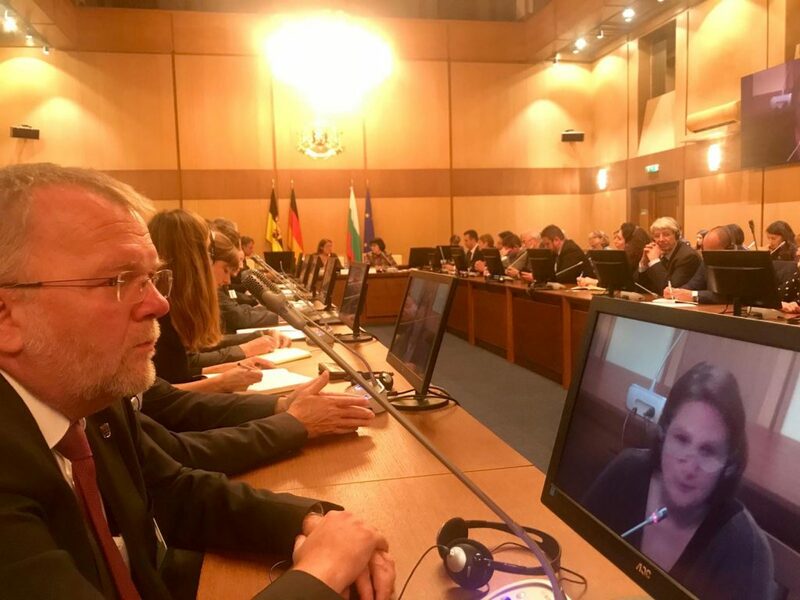 The Bulgarian and Baden-Württemberg sides want to tackle the implementation of projects in industrial and innovation policy as well as innovation and technology transfer. One focus is on the digitisation of business, industry 4.0 and start-ups. Here, a bilateral exchange of experience with experts and information events for companies from both countries will be facilitated in order to facilitate mutual market development. The Bulgarian delegation addressed the problem that in Bulgaria after Completion of buildings (housing, offices, production facilities) the building authorities are often unable to complete act 15. For many building owners, this leads to fines to their clients and to the financial institutions. Here was asked for a "best practice" from Baden-Württemberg. After all, this practice frightens off foreign investors. The management of the Technology Centre (TCS) has proposed that the state government provide start-up companies from Bulgaria and the other Danube countries with a presentation area at the next Start-up Summit on 1 February 2019 in Stuttgart. In this context, Jürgen Eisele referred to the ongoing INTERREG B project "ACCELERATOR". Here the best examples of start-up companies could be invited to participate. He also announced that the TCS will start building regional innovation centres in Montana and Vidin in 2019. 14:00 – 15:30 Обсъждане на индивидуалния ви работен план за периода от 09 декември 2018 г. до 17 април 2019 г.
До 19 април 2019 г. ще сте работили върху бизнес идея си и всичко трябва да е уточнено и с ясен с график: цели, концепция и по-нататъчен подход. 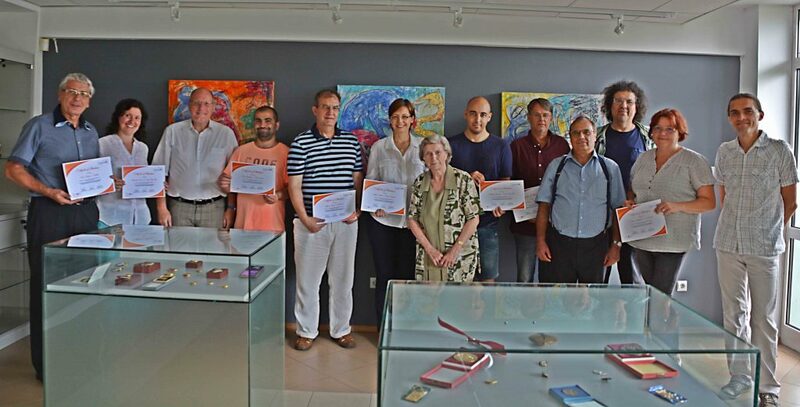 On 25th July 2018 the Bulgarian management team for the ACCELERATOR officially finished the first call of the pilot-project and handed out "Certificates of Attendance"
BioPro BW is lead partner in the Interreg DTP "DanuBioValNet" under the direction of Prof. Dr. Ralf Kindervater. The Technology Center Sofia - represented by Managing Director Jürgen Eisele, works as a partner in the Interreg DTP “Accelerator”. The Accelerator pilot project is being carried out in the North-Western region of Bulgaria. The aim is to show that even in rural areas the there is interest in setting up a business. Due to the long distance to Sofia, the local founders receive hardly any suitable support. 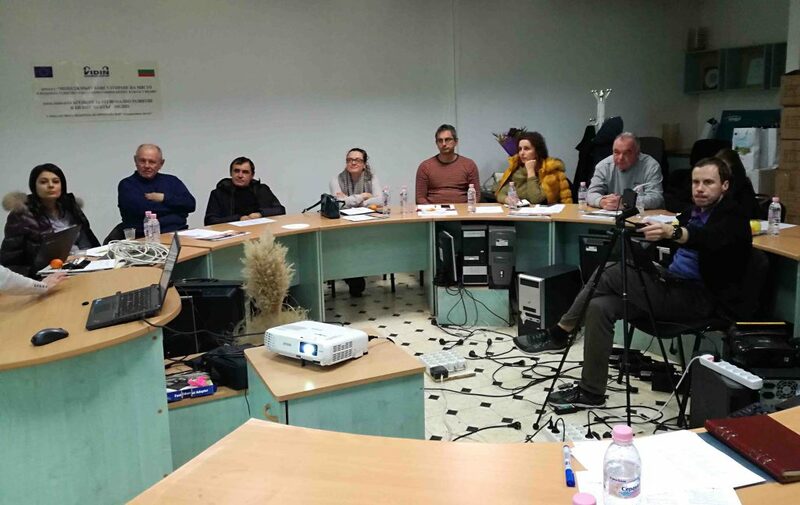 Within the framework of the Accelerator, "tools" are developed for business start-ups, which are particularly suitable for those who want to start a business in rural areas. One focus of the "DanuBioValNet" project is the creation of a network for producers who want to offer their plant products to the phytopharmaceutical industry. In addition, access to developments in the high-tech sector is to be made possible. 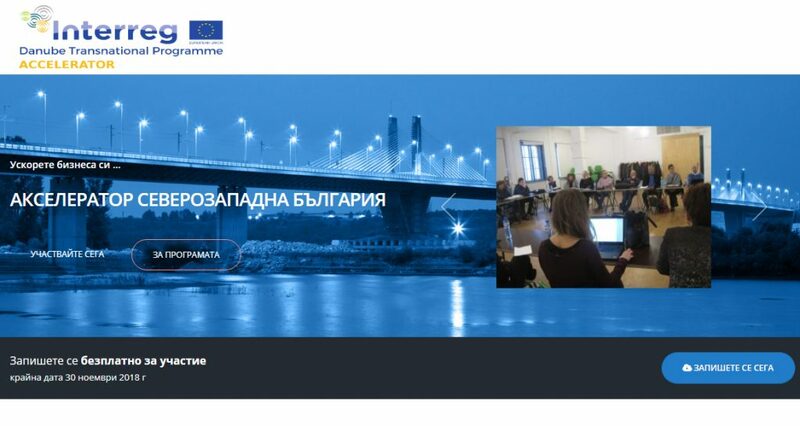 In the second Call ACCLERATOR (September to December 2018) of the pilot project, the Technology Center Sofia will increasingly advertise to people who want to start up a business in this field. Prof. Kindervater has promised that the DanuBioValNet network could provide mentors with extensive experience in this field. Jürgen Eisele underlines that especially for farmers and growers of special cultures should be given access to the R & D infrastructure. Both projects are related to work out a strategy for the development of bioeconomics in the Danube Region. Start of Pilot Project "ACCELERATOR Northwestern Bulgaria"
На 28.02.2018 в 10.30ч в Търговско–Промишлена Палата Враца се състоя откриването на пилотният проект „ACCELERATOR Северозападна България“. Проектът, изпълняван от Технологичен Център София съвместно с фирма Виртех ООД, е част от програмата Danube Transnational, финансирана с пари от ЕС. Целта на програмата е да проучи и да се опита да подобри условията за новооткрити стартиращи фирми в 11 страни-участнички от поречието на река Дунав. Презентацията от деня на откриването ще намерите ТУК. Снимки от деня на откриването ще намерите ТУК.